When no one wanted the starving Irish, Montreal’s Grey Nuns cared for the new immigrants, many of whom were stricken with typhus. Several of the nuns would die. As would the mayor of Montreal. A new exhibit titled Saving the Famine Irish: The Grey Nuns and the Great Hunger running this week at the Centaur Theatre chronicles their heroism and that of other religious orders and Montrealers. When the coffin ships started arriving from Ireland in 1847, unloading passengers into fever sheds in the south of the city, many residents wanted the new arrivals pushed into the St. Lawrence. At one point Montreal’s mayor deterred a mob from doing so. There were only 50,000 people in Montreal, and many were terrified. More than 100,000 emaciated, often diseased Irish were on their way to Quebec after the potato crop in Ireland failed two years in a row. The British government was unable to care for the starving and America had enacted strict standards for immigration that included costly ship fares out of reach of the impoverished Irish. So they came to Quebec, paying cheap fares to be packed by the hundreds in dank holds, used as ballast in British trade ships that usually shipped lumber. Five thousand died on the crossing, their corpses tossed overboard. Unable to handle the deluge at the immigration depot on Grosse Île near Quebec City, where as many as 5,000 would die, many of the ships were waved on to Montreal by immigration officials. The ill and the dying were quarantined in the 22 fever sheds built near where the Victoria Bridge now stands. 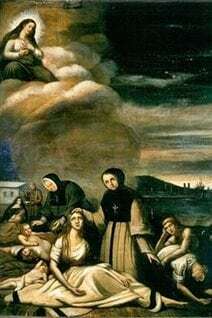 The Grey Nuns, or Sisters of Charity as they are also known, were the first religious order called in to assist the Irish. Only about 40 in number, most of them would become infected with typhus themselves, carrying the ill from the ships to the sheds and administering to them. Seven of them would die. Those who didn’t convalesced, then came back to continue caring for the Irish. They would nurse them back to health and find homes for more than 1,500 orphans, either with other Irish families or, in most cases, with French Canadians, which is why Quebec’s Irish roots run so deep. Many members of the Catholic and Anglican clergies, including several priests, gave help, sometimes at the cost of their lives. British soldiers on security detail gave up their rations to feed the starving. Digging through the annals and archival records of the Grey Nuns, Jason King, a Montrealer now at the National University of Ireland, and Christine Kinealy, director of Ireland’s Great Hunger Institute at Quinnipiac University in Connecticut, have put together a portrait as seen through the eyes of the many caregivers. On display in Connecticut for a year, the modest exhibit of explanatory texts, artifacts and sculptures will tour various locations in Montreal, beginning with the Centaur Theatre. Keyes is the director of the Irish Monument Park Foundation, which is working to establish a memorial park to honour the 6,000 Irish who would die in Montreal. At present, the only memorial to the dead is the massive Irish Rock that was unearthed by Irish labourers building the Victoria Bridge and placed over a burial spot on Bridge St. near the span to protect it from desecration in 1959. Keyes’ foundation is working to create park space near the memorial, as has been done in several North American cities. Saving the Famine Irish: The Grey Nuns and the Great Hunger runs at the Centaur Theatre, 453 St-Francois-Xavier St. in Old Montreal, from 11 a.m. to 8 p.m. daily until April 17. 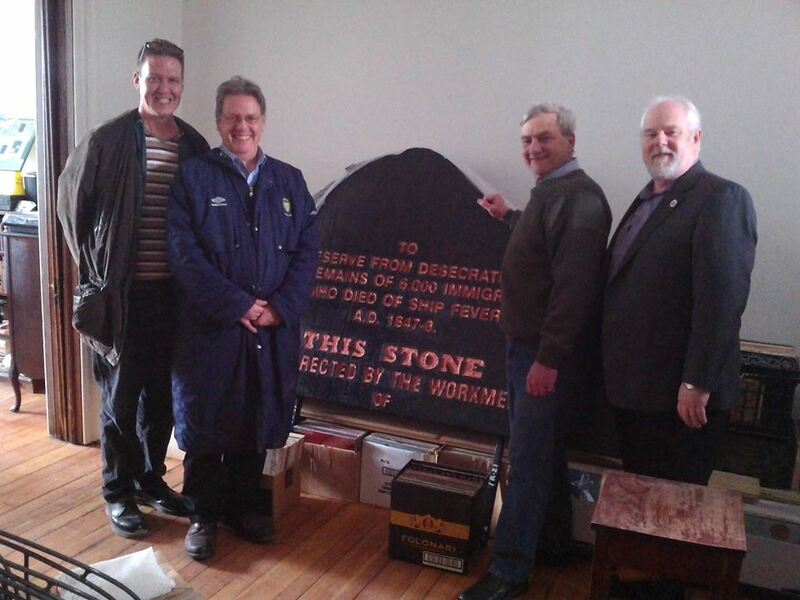 The Montreal Irish Monument Park Foundation is hosting “Saving the Famine Irish: The Grey Nuns and the Great Hunger,” at the Centaur Theatre from April 11th until April 17th. It is arriving from the Great Hunger Institute at Quinnipiac University, Connecticut, which hosted the exhibition, curated by Dr. Jason King and Dr. Christine Kinealy, from March 17th, 2015 until March 17th, 2016. Sister Marlene Butler received information from a friend in Connecticut about the exhibition telling the story of the Grey Nuns who gave selflessly to the Irish Famine immigrants in Montreal. Within a few days, Sister Anne Marie Beirne called to tell her she had received information about a conference to be held at Quinnipiac University from June 3 to 6. During the Conference there would be a presentation entitled “Sacred and Sacrilegious Women’s Testimonials: the Grey Nuns and Maria Monk” by Jason King from the University of Galway. They went for the talks on Friday, June 5 and to see the exhibition. They were warmly welcomed and experienced a very inspiring day including a visit to the exhibition. In his presentation, King argues that “the sacred images and religious iconography of French-Canadian and Irish female religious caring for Montreal’s famine immigrant in the “Saving the Famine Irish” exhibit were directly influenced and shaped by the sinister impressions of Maria Monk a decade earlier, which they sought to repudiate and replace”. He wanted to show that these sisters worked in a very anti-Catholic environment. According to King, the annals of the Grey Nuns of Montreal gave the best and most detailed accounts in North America describing the plight of the Irish famine immigrants. The Grey Nuns worked with the women and orphans in the fever sheds in Old Montreal. Many of them lost their lives caring for the women and children. 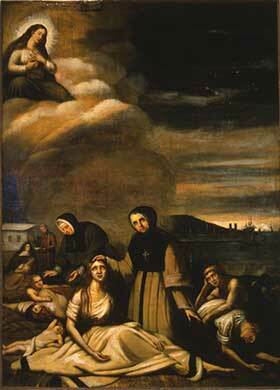 The Grey Nuns were the first to be called to care for immigrants in the fever sheds. Following them were the Sisters of Providence and the Sisters of St. Joseph. The only image of them is in the painting of Theophile Hamel “Le typhus” ( 1848). March 12th and 13th: 50 artists will take the stage at the Palais Montcalm in Quebec City to sing the story of Grosse-Île quarantine station, summer 1847. Projections depict the island and relics of that summer; lighting and period costumes set the mood; first person narrative brings memory to life. Supported by a musical trio of piano, guitar and flute, the voice of each singer will echo across the sea of time calling to us in the 21st century. Employing four languages, French, English, Gaelic and Latin, John Halpin’s lyrics capture a complex cultural mosaic. Crisp vocal rhythms and rich four-part harmonization support lyrical solo performances, speaking of starvation, hope, desperation, sharing, illness, comforting, death, loss, and the will to carry on. On the island we meet an elderly couple, Sean and Brigid, the story narrators, remembering their childhood experience in the summer of 1847; Eileen, a suffering Irish immigrant; Darah and Donal, a young Irish couple struggling to heal and restore their people; Skews, an English ship mate stricken by typhus; Doctor d’Amour, searching desperately for a ‘cure’; Father Charles, struggling to be the hand of God amidst a sea of pain and misery. Over 5000 Irish immigrants died and were buried on Grosse-Île that fateful summer. The authenticity of Sean and Brigid’s first hand experience of the quarantine station is tempered by the filter of time, the joy of the years won with their own survival and the courage and strength they attribute to the remarkable people they encountered on Grosse-Île. In the end, it is the heart felt appeal of Father Charles to the faithful parishioners of Montmagny that opens the doors of the Québecois to the stranded Irish orphans. This is the message of hope at the heart of Grosse-Île: a story as much for our time as any; a story of anguish relieved by welcome… A story that must be told! Grosse-Île: A Choral Story/ Une Histoire Chorale is a 2 hour narrative musical performance, written by three Quebeckers, Margaret Forrest, John Halpin and Hubert Radoux, and produced by Les Productions Cibles. The 40 voice choir, Dal Segno, under the direction of Guillaume St. Gelais is joined by 7 soloists. QUEBEC CITY – Little is known of Quebec’s Irish history, according to the playwrights of a new musical playing in the province’s capital. In the 1800s, typhoid fever claimed thousands of lives of Irish immigrants. Their orphans were taken in by French-Canadian families. It was a tragic event that brought two cultures together. The bilingual production of Grosse Île: Une Histoire Chorale, which was shown last Saturday and Sunday at the Palais Montcalm, pulls at the heart strings. 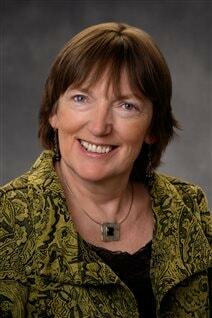 “I hope that people feel the pain,” said co-author Margaret Forrest. In 1847, immigrants traveled across the ocean from Ireland to get away from famine. “They have to hope and come to Quebec, but then the landlords and the people on the boats are not necessarily nice to them and they get sick,” explained Marie-Maude Potvin, a singer and actress in the musical. Suffering from cholera and typhoid fever, when the Irish finally arrived in Quebec, they were quarantined on Grosse Île. “I was surprised that I didn’t know about the story,” said Katee Julien, another singer and actress. This original play – and original score – commemorates the over 5,000 Irish immigrants buried on the island. Greg Halpin plays two characters, both of whom die from disease. “Throughout the play, there’s just constantly this chorus that keeps echoing back, of hope and how you get through these kinds of tragedies,” said Halpin. The story takes place almost 170 years ago, but the imagery is all too reminiscent of Syrian refugees who have died in similar journeys by boat. “People who were actually dying on the shoreline and they had no place for these people. They had no place to bury them,” said Radoux. “It is so timely,” said Forrest. Forrest insisted Quebecers should welcome newcomers, who so quickly become part of our heritage.